Layer up before or after the WOD. 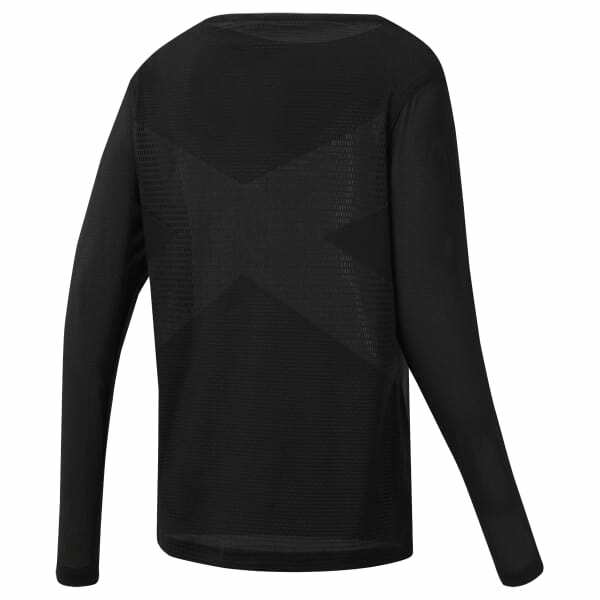 This women's long-sleeve tee is made with sweat-sweeping Speedwick so you stay dry. The training t-shirt has a breathable mesh front and an open-hole jacquard back to keep you cool and show off your sports bra. Side slits at the hem allow you to move freely.